Posted on Wednesday, November 12th, 2014 at 6:36 am. 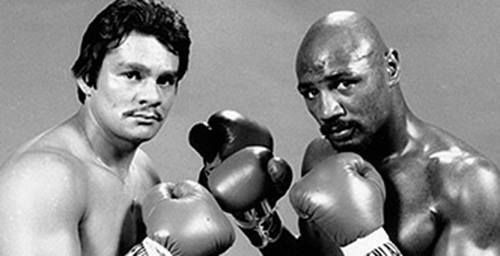 Marvelous Marvin Hagler W 15 Roberto Duran, Las Vegas. Retains World Middleweight Title. Hagler is an inductee of the International Boxing Hall of Fame and the World Boxing Hall of Fame. He was named Fighter of the Decade (1980s) by Boxing Illustrated and twice named Fighter of the Year by Ring Magazine and the Boxing Writers Association of America. In 2001 and 2004 the Ring named him the 4th greatest middleweight of all time and in 2002 named him the 17th-greatest fighter of the past 80 years. 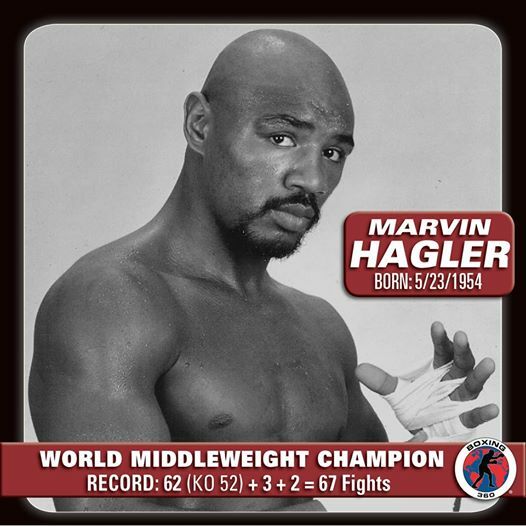 The International Boxing Research Organisation (IBRO) rates Hagler as the sixth-greatest middleweight of all time. Boxrec rates Hagler the fifth-best middleweight of all time. Many analysts and boxing writers consider Hagler to have one of the best “chins” in boxing history.